F&W restaurant editor Kate Krader has chased down great food on every continent but somehow missed an incredible scene close to her New York City home. Here, her Philadelphia food diary. When I was in college in Ohio, I drove three hours to a concert one night, and four hours to a different concert the following afternoon. When I was in cooking school in Burgundy, France, I would travel two hours to go clubbing in Paris when I really should have been asleep in bed. This summer, I flew to the tiny village of Järpen, Sweden, for less than 24 hours, just to eat dinner at the fabled Fäviken Magasinet restaurant in the remote countryside. All of this makes it extra-embarrassing for me to admit that in the past 10 years, I've made the one-and-a-half-hour trip from my hometown, New York City, to Philadelphia exactly once. I knew Philadelphia had a burgeoning culinary scene; my boss, Dana Cowin, wrote about it in this magazine in 2007. She even outlined the reasons why it's a great food city. I read her story. And still didn't go to Philadelphia. But lately, Philadelphia has been inserting itself into my restaurant sight lines. I kept hearing about chefs who left notable Manhattan places, like Momofuku Ko and Torrisi Italian Specialties, to strike out on their own. They weren't opening up 12-seat micro-gastropubs or artisanal-mayonnaise emporiums in Brooklyn—they were heading to Philadelphia. 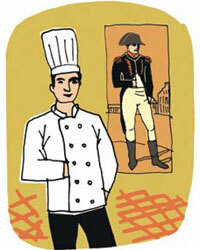 Chefs were coming from other places, too, like Washington, DC, and San Francisco. The City of Brotherly Love seems to be morphing into a gathering place for talented cooks from around the country. (Remember, the Founding Fathers met there, too, to draft the Constitution.) Or maybe it's really just a less annoying, less high-rent Brooklyn. Whenever I take a food recon trip I make friends with locals, so I don't have to eat whole pizzas all by myself. 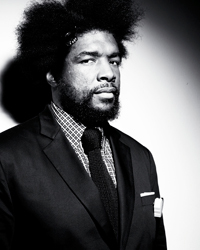 One of my new Philly friends is Ahmir "Questlove" Thompson, drummer of The Roots, who was born there and visits often. "I have to come check on my 70,000 records," he says. Questlove is way into food: On Late Night with Jimmy Fallon, where The Roots are the house band, he has donned an apron for some of the best food segments, including a fried-chicken cook-off that pitted him against chef David Chang. The segment preceded the opening of Questlove's stand in Manhattan's Chelsea Market, Hybird, where he sells brined, buttermilk-fried chicken drumsticks. He agreed to meet me in Philadelphia to check out a couple of spots. We started at Talula's Garden (talulasgarden.com), which opened a few years ago. I was interested in the place because it had recently spun off a new market next-door, Talula's Daily. Also because co-owner Aimee Olexy is almost as obsessed with cheese as I am; the menu offers seven cheese flights, including one called Little Stinkers. Talula's is co-owned by Questlove's business partner in Hybird, Stephen Starr, who now has 32 restaurants, almost all of them in Philly. I heard a lot of people credit Starr with being a big part of Philadelphia's rise as a food city; now he's graduated from opening not-particularly-original restaurants to locking down star chefs, like Peter Serpico. 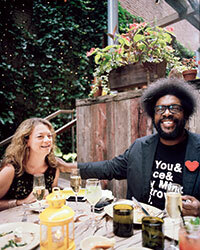 At Talula's, Questlove and I had dinner in the garden. He told me he sat at that exact table 10 years ago (when the space housed a different restaurant) on a blind date that had started at a Prince concert. Chef Sean McPaul, a Philly native who came home after cooking at Quince in San Francisco, covered our table with favorites from his menu. He turned Questlove into a tomato fan with a salad of cherry tomatoes, olive aioli, ricotta salata and torn bread. "Is it delicious?" Questlove asked cautiously when I pushed the salad toward him. "Because I do not love tomatoes." "Life changing," I promised. Questlove had performed five shows the day before we met (a record for him), so he was sympathetic to my dining situation: visiting four restaurants in one night. Sympathetic enough to come to one more place. 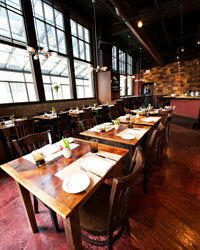 We headed to Vedge (vedgerestaurant.com), which has emerged as the country's preeminent new vegan restaurant. I generally don't make a beeline for vegan food, but chef Richard Landau has a preternatural knack for seeing how vegetables can get meat-like treatment without pushing it too far (no wheat-gluten "spareribs" here). Landau does, however, roast pretty red-striped chioggia beets with pastrami spices like dill, caraway, fennel seed, celery seed and lots of pepper, then hot-smokes them over three kinds of wood. He also makes braciola, the traditional stuffed, rolled meat dish, out of roasted eggplant slices and cauliflower with a piquant salsa verde on the side. Questlove asked for the beet recipe ("This dish makes me believe in beets," he confided). Then he showed me his favorite food photos, from a meal he'd had at the Jiro Sukiyabashi sushi restaurant in Tokyo. "The only way I can describe the sushi," he said, "is the fight scene between Lucy Liu and The Bride in Kill Bill." (I wasn't sure I got that, although I nodded.) Questlove loved all the sushi, but the dish that blew him away was juicy honeydew melon, served unadorned at the end of the meal. He liked it so much that Jiro Ono allowed him to have four wedges. "I'm waving the white flag of surrender," said Questlove to the chef after four desserts hit the table. And he left. Me, I had two more dinners to get to that night. My list of need-to-check-out new Philly restaurants was as long as that fight scene from Kill Bill. But I also wanted to eat some great pizza. I have more good pizza than I can handle in New York; however, I'd been hearing about the pies made by one of the country's best Italian chefs, Marc Vetri. He let me preview a few of the six or so choices he'll serve at Pizzeria Vetri (pizzeriavetri.com) in central Philadelphia, just down the block from the relocated Barnes Foundation museum. They included a brilliant one topped with pink, fatty slices of house-made mortadella, Sicilian pistachio pesto and melted mozzarella. All the pizzas are Neapolitan, cooked in a 700-degree oven, with the kind of thick, chewy crust that I happen to love. In a few months, Vetri will give people in New Jersey a chance to sample his pizza; he's opening a branch of his convivial Osteria in nearby Moorestown, and there will be a selection of pies on the menu. Vetri is on a wave of expansion: His wood-rotisserie-anchored spot, The Brig, opens in Philadelphia's Navy Yard in the spring of 2014. I also wanted to sample the food Vetri is offering at the Eagles' stadium this fall. It would have been a good excuse to see a game, but football season hadn't started yet when I was in Philly, so I hiked over to Vetri's Italian pub, Alla Spina (allaspinaphilly.com). I took my friend Adam Erace, owner of the outstanding 260-square-foot Philadelphia specialty-food market Green Aisle. We tried the griddled mortadella dog (Vetri should proclaim himself the king of mortadella) topped with red cabbage relish and pickle slices. It was very good, but I forgot all about it when Vetri's version of a North Philly cheesesteak hit the table. It's an outrageous sandwich that layers black-peppery sausage on a chewy pretzel roll with spicy beer cheese flowing out over the sides. Eli Kulp, chef at Fork restaurant (forkrestaurant.com), is another Philadelphia newcomer and Del Posto veteran. He began looking at Philly at a friend's suggestion, even though he'd never spent much time there. "At first, I wasn't even interested," said Kulp. "But then I came down and ate around at some of the new places, and I saw a city that could sustain the kind of food I want to cook." That food is compelling, modern Italian-American dishes like vitello tonnato, with supple veal carpaccio slices, diced raw tuna in caper juice and creamy tonnato made with poached yellowfin tuna. Kulp has become a bread obsessive and serves a trio of them on his chef's tasting menu: fish (a jet-black squid-ink bread), vegetable (a tangy levain with charred leeks and zucchini) and meat (brioche infused with flavorful melted fat from aged New York strip steaks). When I was there, Kulp was renovating the next-door café, High Street on Market. When it reopens, he'll serve oddball breakfast items like redeye-gravy Danish, and lunch dishes like roast pork-and-fermented broccoli rabe heroes. Kulp has always been a laid-back guy—unlike Peter Serpico. The Peter Serpico I knew in New York City was an intense cook with a shaved head who rarely spoke; I'd heard he slept on the floor at Momofuku Ko when he worked there. At Serpico (serpicoonsouth.com), the chef was almost unrecognizable, with a big head of hair and a loud laugh. Maybe it's because he had a huge, shiny, open kitchen that's bigger than most Lower East Side restaurants. His creative dishes run the gamut from chorizo-glazed ravioli stuffed with dehydrated, then rehydrated John Cope's corn (a Pennsylvania Dutch staple) to his version of Momofuku's epic pork-belly buns. Serpico makes his with flattened hot dog buns stuffed with crispy fried duck, plus a smear of hoisin sauce and pickles. I've stopped eating Momofuku buns (having consumed about 1,000 of them in my life, I've reached capacity), but I couldn't stay away from Serpico's. In addition to these newcomers, I also discovered Philly-born chefs who had moved away but were coming home. Greg Vernick was one. He spent almost six years working for Jean-Georges Vongerichten around the world before opening his own place. For Vernick, Manhattan was too expensive; he also saw Philadelphia coming around. "When I was growing up, there were only one or two neighborhoods that really popped. Now there are five or six, and they're going crazy with good new places." 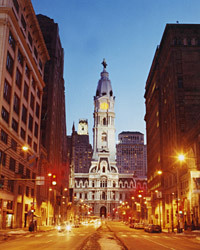 Before launching Vernick Food & Drink (vernickphilly.com), the chef and his wife traveled around Italy. "We were on a budget; everything we had for lunch and dinner came on toast," he said. So he added an On Toast section to his New American menu and got a local bakery to custom-make a sturdy sourdough for him. He grills slices until they're almost caramelized, then tops them with a dollop of mushy peas and bacon strips, which infuse the peas and the toast with smoky, fatty flavor. Raw fish is another specialty, including arctic char carpaccio dotted with crispy skin and pools of chile oil. 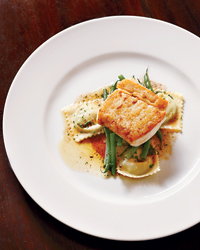 "That's Jean-Georges all the way," said Vernick about the char. "He's got that ability to be restrained, but show big flavors." It's a fitting sentiment for the City of Brotherly Love. What Defines a Great Food City?